The Gambia is a birdwatcher’s paradise with this small country containing in the region of 540 species. There is a diverse selection of habitats including forest-savannah and mangrove tributaries, enriched by the striking River Gambia. 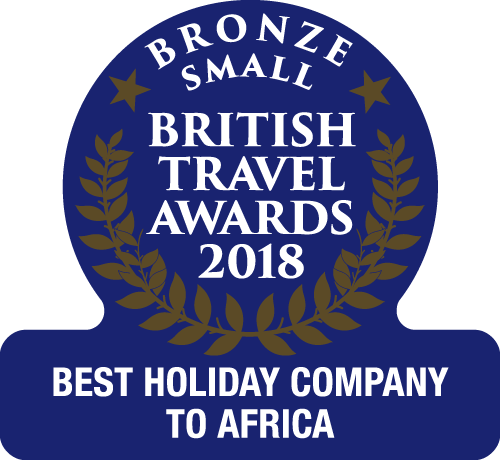 The Gambia Experience Three Day Birdwatching Tours with the BBC’s Chris Packham and/or Malick Suso are perfectly paced with morning and early evening excursions, leaving time in the afternoon to relax at the hotel. The remainder of the 7 night holiday can be spent soaking up the winter sun or exploring other aspects of The Gambia. Birds to be spotted include the wader, kingfisher, African darter, hammerkopf, rare golden-tailed woodpecker, white-faced scops owl, long-tailed nightjar and the bittern – to name but a few. The Gambia Experience is offering 7 nights at the 5 grade Kairaba Hotel in Kololi – as featured in the specialist’s Luxury Collection - from £824 per person, valid for 10 January departure and resulting in a saving of £389pp from brochure price. This offer is based on two sharing an air-conditioned deluxe room with breakfast and includes return flights from London Gatwick – Banjul (Monarch Airlines), taxes and transfers. The Birdwatching Tour supplement of £175 per person is included as part of this offer, meaning that three days escorted birdwatching with Malick Suso is included in the holiday package price. Tour highlights include a trip to Abuko Nature Reserve, a walking tour of Kotu stream, a visit to Tanji Bird Reserve and Brufut Woods, plus a visit to Makasutu River and Forest. Maximum 8 people on the Tour. The Gambia Experience is offering 7 nights at the 3 grade Bakotu Hotel – a delightful, small hotel particularly popular with nature lovers due to the tropical gardens, birdwatching platform and nature walk beside Kotu stream – from £1164pp, valid for Friday 28 February departure. This price is based on two sharing a standard room with breakfast and includes return flights London Gatwick – Banjul (Monarch Airlines), taxes and transfers. The Birdwatching Tour supplement of £425 per person is included in this offer price, meaning that three days escorted birdwatching with Chris Packham and local guide Malick Suso is included in the holiday package price. Tour highlights include a trip to Abuko Nature Reserve, a walking tour of Kotu stream, a visit to Tanji Bird Reserve, a creek boat excursion and evening walks, the location of which to be decided by Chris Packham who has been visiting The Gambia for the last twenty years. Please Note that offers are subject to availability & itineraries may be subject to slight alterations.